Newly signed Golden Knight, Jimmy Schuldt, played his college hockey in St. Cloud, Minnesota as the three-year captain of the St. Cloud State University Huskies. St. Cloud is a small town in the center of the “State of Hockey” with a population of around 70,000. There are only three NHL players to ever claim St. Cloud as their hometown, Kurt Sauer, Mike Sauer, and Nate Schmidt. So, it’s no coincidence that when it came time for Jimmy Schult to make his decision on where to sign following his college career, he looked to Schmidt for advice. But being from, or playing in, St. Cloud is not the only connection Schmidt and Schudlt had. Schmidt was familiar with the position Schuldt was in as a college free agent with multiple suitors, as Schmidt went through it himself in 2013. Schuldt’s agent, Tom Lynn, said it started with 29 of the 31 teams showing interest before he and Jimmy narrowed the list to 20, then 12, then five and eventually picking Vegas. All the while, Schuldt was leaning on Schmidt to help him make the decision. However, Schuldt consistently went back to a much different factor, one that would be a huge determinant of his future. It’s a huge decision for a 23-year-old hockey player because the organization you ultimately choose holds your rights until you are 27. So trusting the GM and his plan for you is crucial. Schmidt says he shared his most memorable personal story about McPhee to illustrate the type of person the Golden Knights have in their GM. 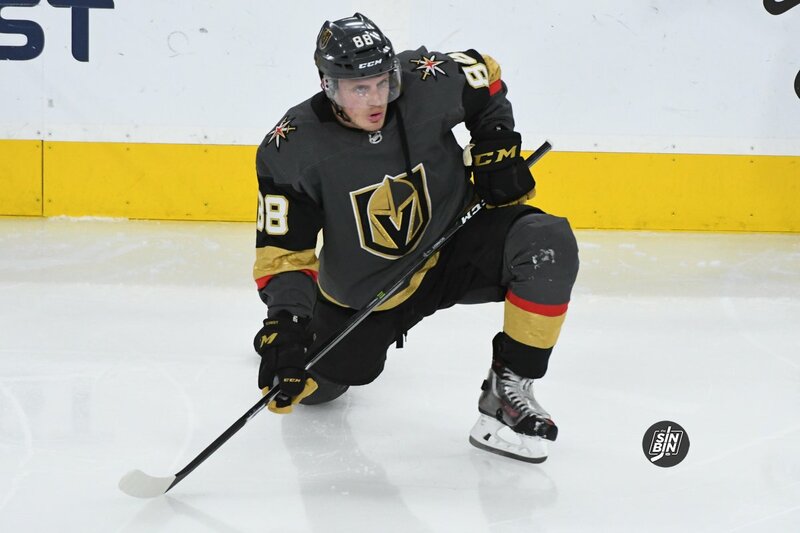 In the end, Schmidt’s sales pitch, if you even want to call it that, may not have been the determining factor in why Jimmy Schuldt is now a member of the Golden Knights. But like with many of the Golden Knights successes, at the very least, Nate Schmidt deserves an assist. Listen to the whole interview with myself, Jesse Granger of The Athletic, and Nate Schmidt on Schmidt’s involvement in the Golden Knights signing of Jimmy Schuldt. Great signing. Fills a need in the age group as well as with a defensive defenseman.